This project utilizes a novel food web model system of wild Drosophila species and their parasitoids to answer fundamental questions in community ecology. We are surveying the focal food webs along environmental gradients in tropical Australia and Papua New Guinea using modern DNA metabarcoding methods, establishing the role of symbiotic bacteria in food webs, and disentangling the factors structuring the food webs using field and laboratory experiments. Bacterial symbionts of insects are abundant and diverse, and have numerous effects on their hosts' biology. We have recently reviewed how insect endosymbionts might affect the structure and dynamics of insect communities. We have also contributed to global analysis of distribution of symbiotic bacteria and have shown that symbiotic bacteria protect hosts against parasitoids and pathogens under natural field conditions. Hrcek, J., Parker, B.J., McLean, A.H.C., Simon, J-C., Mann, C.M. & Godfray, H.C.J. (2018) Hosts do not simply outsource pathogen resistance to protective symbionts. Evolution, 72: 1488–1499. Hrcek, J., McLean, A.H.C. & Godfray, H.C.J. 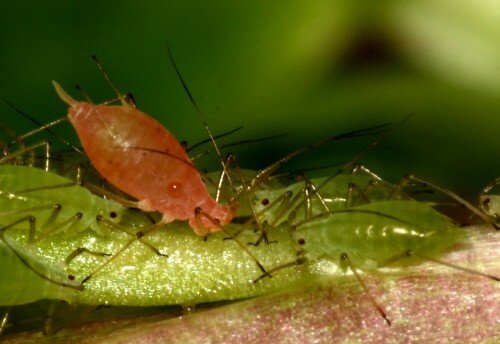 (2016) Symbionts modify interactions between insects and natural enemies in the field. Journal of Animal Ecology, 85: 1605–1612. We are developing new methods for parasitoid detection in the context of species-rich food webs. We want to provides a general approach, allowing the detection and identification of parasitoids without a priori expectations on which species could be present. The parasitoid identification makes use of DNA barcoding and metabarcoding for rapid species identification, revolutionizing the way food webs are surveyed. We concentrate on methodological as well as conceptual advances. Hrcek, J. & Godfray, H.C.J. (2015) What do molecular methods bring to host–parasitoid food webs? Trends in Parasitology, 31: 30-35. Hrcek, J., Miller, S.E., Quicke, D.L.J., & Smith, M.A. (2011) Molecular detection of trophic links in a complex insect host-parasitoid food web. Molecular Ecology Resources, 11: 786-794. We have described and analyzed a large food web of caterpillars and their parasitoids from New Guinea rainforest. The work has uncovered a species-rich community of specialized parasitoids attacking underappreciated caterpillars which hide in rolled or tied leaves. We have used a combination of traditional taxonomy, coordinating the work of multiple taxonomists, with DNA barcoding approach. The project has sprouted large number of collaborations which have built on different aspects of the data for global scale food web pattern synthesis and insight into ecological niche concept, and allowed modern parasitoid taxonomy with valuable host records. Hrcek, J., Miller, S.E., Whitfield, J.B., Shima, H. & Novotny, V. (2013) Parasitism rate, parasitoid community composition and host specificity on exposed and semi-concealed caterpillars from a tropical rainforest. Oecologia, 173: 521–532. Forister, M.L. et al. (2015) The global distribution of diet breadth in insect herbivores. PNAS, 112: 442-447. Novotny, V., Miller, S.E., Hrcek, J., Baje, L., Basset, Y., Lewis, O.T., Stewart, A.J.A., & Weiblen, G.D. (2012) Insects on Plants: Explaining the Paradox of Low Diversity within Specialist Herbivore Guilds. American Naturalist, 179: 351-362. Quicke, D.L.J., Belokobylskij, S.A., Smith, M.A., Rota, J., Hrcek, J. & Butcher, B.A. (2016) A new genus of rhysipoline wasp (Hymenoptera: Braconidae) with modified wing venation from Africa and Papua New Guinea, parasitoid on Choreutidae (Lepidoptera). Annales Zoologici, 66: 173-192. Quicke, D.L.J., Smith, M.A., Hrcek, J. & Butcher, B.A. (2013) Cystomastacoides van Achterberg (Braconidae, Rogadinae): first host record and descriptions of two new species from Thailand and Papua New Guinea. Journal of Hymenoptera Research, 31: 65-78.